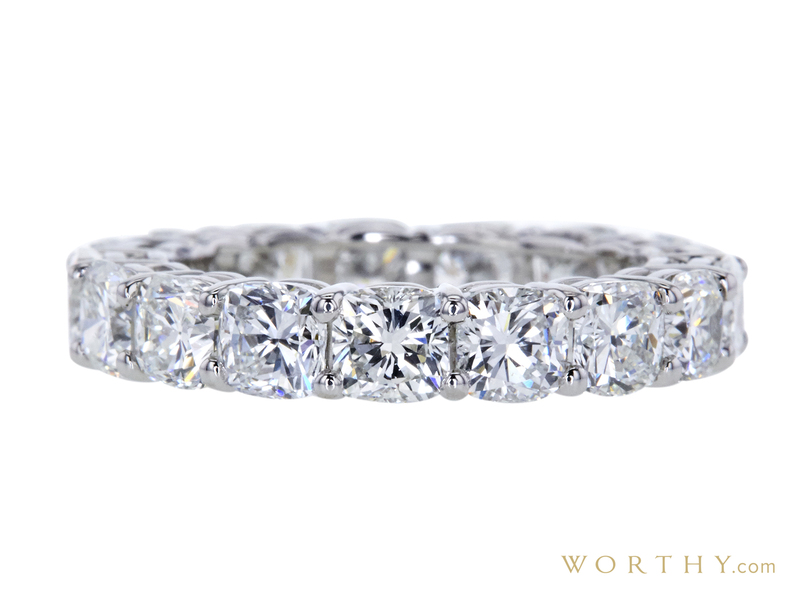 platinum custom made eternity band ring consisting of 17 cushion shape, natural diamonds , weighing 4.34 - 4.37 carats (cttw). The stones color and clarity ranging H-I and VS1-VS2 respectively, according to GIA grading scale. and carries a IGI grading report, No. : 4201128651.